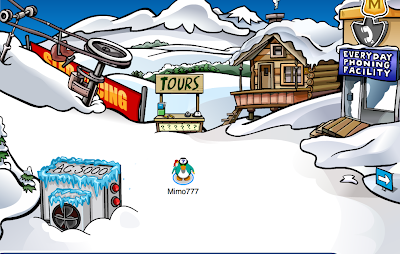 Club Penguin Cheats by Mimo777 Club Penguin Cheats by Mimo777: Club Penguin Times - Secret Message - HERBERT FOUND! Club Penguin Times - Secret Message - HERBERT FOUND! Hmm, Step 1. 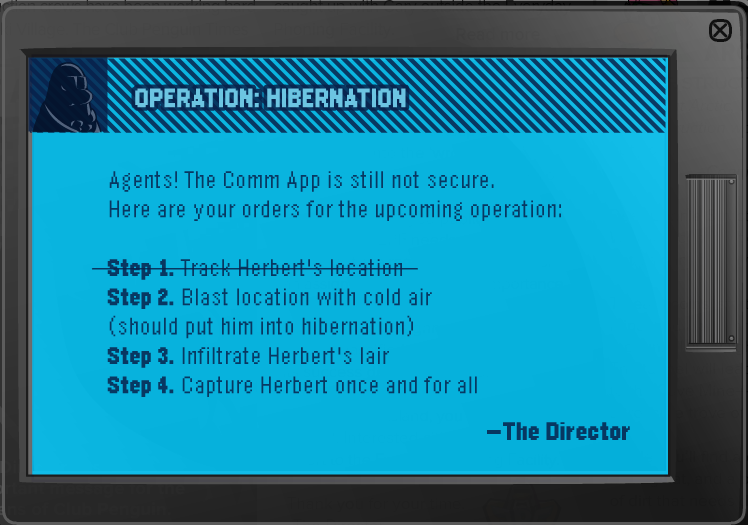 Track Herbert's location has already been done! Awesome! I sure hope G's idea of putting Herbert into hibernation works, don't you? 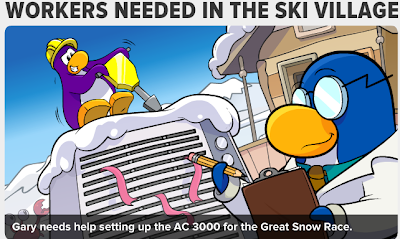 Now lets go freeze up the island! 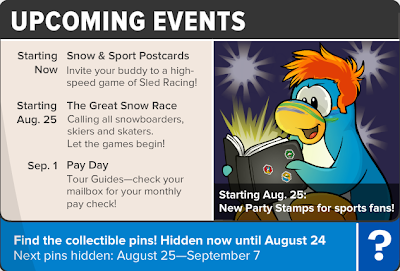 the main page of club penguin has a LOT of famous penguins on it! Hang on a tick..... it looks like the Director is wearing a tie.... And who else wears a tie? G! 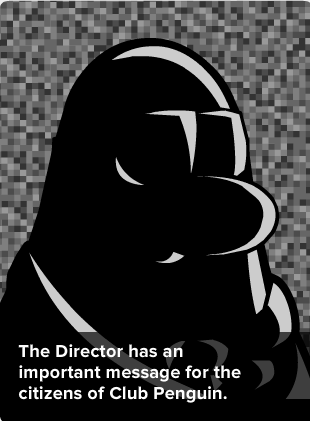 G also wears glasses, so G might be the director! Hey mimo! IDK if you noticed but I think klutzy is in the background of the AC 3000 pic. 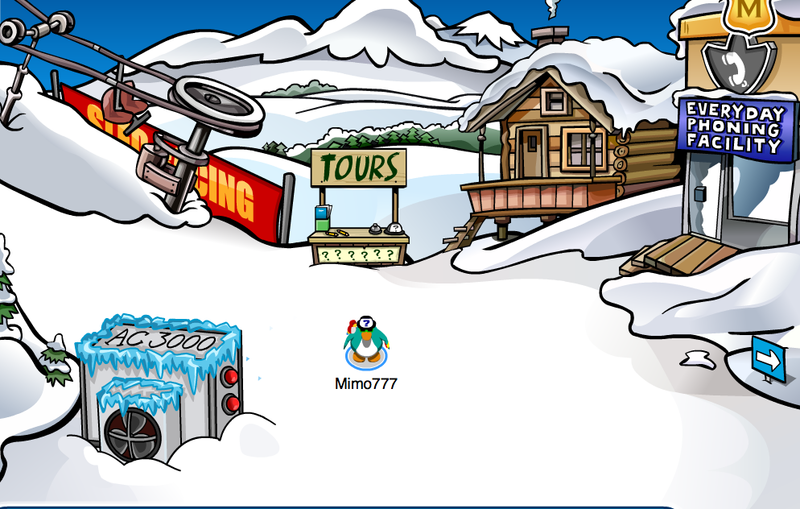 He might be trying to disable it to ruin our plans to catch herbert. Suspicious don't you think? 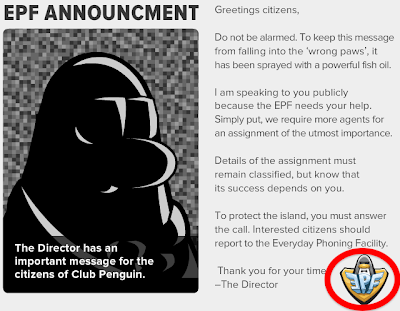 Look at the EPF Announcement Photo!